For Friends Who Don’t Have Special Needs Children – Hi Blog! I'm Dad. When you have a special needs child, there can be a few awkward and confusing moments with friends. I know this because I have a special needs child and, since Lucas was first being diagnosed, we’ve had a few awkward and confusing moments with friends. I’m not talking about cruel or mean-spirited exchanges. In fact, most of the uncomfortable interactions we’ve encountered have been borne out of the best intentions. They usually sprout up when someone doesn’t know what to say or, in some cases, tries to do something that they believe to be sympathetic. This happened when Lucas was around two and we were just learning about his emerging Autism. Although he’s grown to be a wonderful non-verbal seven year old who has fit in perfectly with the rest of us, our son’s early days of testing were pretty gut-wrenching. His future was constantly on my mind. Worry mixed with guilt and most of our days seems to be a haze of anxiety. Luckily, there were glimpses of the outside world all around us. None of the people we spoke to regularly were dealing with anything like us so the stories from their lives were welcome escapes from our everyday panic. My wife was having a moment like that, or so she thought, when a friend with a child the same age as our son began to tell her about their bedtime battles. I feel so silly going on to you like this, especially with all you have going on with Lucas. This line, while well intentioned, actually had the opposite effect. As my wife recounted it to me, I could tell how those words cut. It was as if she had been grabbed from this brief worry-free moment and yanked back into the chaotic reality of our lives at the time. Sure, we would all turn out just fine and the worry of those early days would never match the eventual reality. But still, on that day, we were still desperately searching for mental escapes whenever they could be found. Had that mother not volunteered a misguided gesture of good-will, that would have been one of those escapes. The craziest part about these attempts to not “burden” us with the problems of others is that I love to hear about the lives of the people in my life. That’s why they are in my life. I don’t keep a running tally on who has it better or worse between us. That’s not how friendships work. If I care about you and something is happening – good or bad – in your life, I want to hear about it. I want to share your happiness and hear about your struggles. And nothing would make me feel worse than to think that you view my life as so sad or difficult that I couldn’t possibly be able to that. It’s not. Lucas is one of my favorite people in the world. I love being his dad. He might not speak or be able to do the things that other children can do, but that doesn’t mean that I break down in tears when I hear about the skills your child is developing or a parenting issue that you think can’t compare to some imagined horror you picture behind my front door. Don’t get me wrong. There have been times when I will briefly be taken aback by something another kid his age might be currently doing. Lucas is the only seven year old who I see on a regular basis, so seeing another child, without special needs, interacting with the world can serve as a reminder of the activities he might be interested in. Yet, when I look at them rationally, they don’t sting as much as you might imagine. Then I realized that his sister, Olivia, does not have special needs and also doesn’t watch wrestling with her sad dad. So, yeah, maybe it’s not the Autism. Maybe it’s the fact that life doesn’t guarantee your family will love every piece of entertainment you do or participate in all the games you want them to. 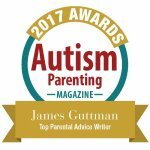 Autism, as can often be the case, is just the scapegoat. Of course, I can’t speak for any other parents with special needs children, only for myself. To me, it’s important for people to not let their assumptions about our lives affect how they treat us. That brings up the real issue behind all of this. It’s simple and sums all of this up. I just don’t want people making assumptions. The truth is, I have never been upset because someone asked me a question about Lucas or his Autism – no matter how silly that question might seem. I’d rather not let Autism become the only topic we discuss, but if the curiosity comes from a good place, I’m OK with it. Issues only happen when people make assumptions about his Autism and act accordingly. Don’t guess about us when we’re eager to give you an honest response. He’s not a sensitive issue hidden away. He’s a wonderful kid and he’s sitting right here. I’m not afraid to talk about my son. Most times, I want to. I know special needs parents can sometimes get defensive. At different times in his life, I have been too. Throughout that entire process, though, the one constant is that I have always wanted people to want to know my son. I will never turn anyone away who tries to do that.